Jacob Maslow is the Marketing Manager for Allergy Be Gone, which sells allergy control products. Jacob and his writing team constantly updates the Allergy Relief Blog. Guest blogging has taken off…marketers know the potential value of providing valuable content on a regular basis. But, there are thoughts as to if this great marketing strategy of guest blogging to build links has been overdone, thereby losing its effectiveness. Well, I’m part of the camp that believes it’s still alive, strong, and effective in its capability of link building. The monkey wrench that was thrown into the mix is spammers who use poor quality content to produce volume rather than quality. And, it’s true these spammers are a menace to legitimate businesses. But, to say that all marketers who use guest posting pitches are part of the spammers, is unfair to legitimate and professional entrepreneurs. Not all marketing strategies will work for every type of business. Different types of sites have different business models; e-Commerce sites and consulting services are two different businesses; one type of marketing strategy may not be as effective for one as it is for the other. In the e-Commerce arena, a variety of marketing avenues are used to build links, and not just to build links, but to produce effective and legitimate links, and profitable conversion rates; taking advantage of guest blogging is one of them. When a legitimate marketer approaches a high-quality site and gives a guest posting pitch, he must provide a strong reason why it should link to his site. Part of the pitch may include links to other guest posts he has completed that have effectively used keyword rich quality content to attract readers and links. The manager of a well received and high-quality site can, and should at a glance, determine if a particular guest blogger is a spammer. The fact that many marketers provide guest blogs for free has nothing to do with the quality or value of the content-it is a business decision, and a cost of business, especially in the e-Commerce business. Marketing budgets are ever increasing due to the overwhelming number of businesses vying for a customer’s business. 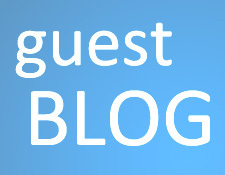 In many business arenas, providing free guest posts are, again, part of the cost of marketing. It may be provided free to the target-site, but it is by no means without cost to the marketer. The name of the game is visibility; guest blogging with quality content creates quality visibility, thereby potential customers, and is beneficial for all involved. Yes, those utilizing this method of marketing may be interested in building links, but that does not mean that’s all they’re looking for. Smart marketers look for a number of benefits such as building trust, and positioning themselves as experts in their field. I agree that everything I read tells me that guest blogging is the best link building method available today to increase page rank and improve traffic to your site. I agree that guest posting is a very powerful strategy. Even if you take out the SEO benefits (backlinks), you still get a huge amount of traffic from the site. I’ve described guest posting as; the post is almost like an ad. Since you should be posting on a blog in your own niche, you will have to write a really good article, therefore creating an ad, showing off how good your content is, attracting people to your site. I have to say I agree with Dan, that the value of guest posting goes far beyond the additional links. Its like waving a flag in front of someone elses viewers, and saying ‘Look at me, look at me!’. You don’t get much better advertising. Eep! Joe. I meant to say I agree with Joe. Don’t know how I ended up saying Dan! I wouldn’t dream of creating guest post content that is anything less than stellar. After all you can’t market yourself, your blog or your brand if you don’t care enough to provide only quality content when guest posting. It makes no sense to even try spamming with guest posts of questionable content. Hey! Someone in my Myspace group shared this site with us so I came to take a look. I’m definitely enjoying the information. I’m book-marking and will be tweeting this to my followers! Superb blog and fantastic design.